I was in major need of a “pick me up” and strolled into my local Sephora to see what was in. 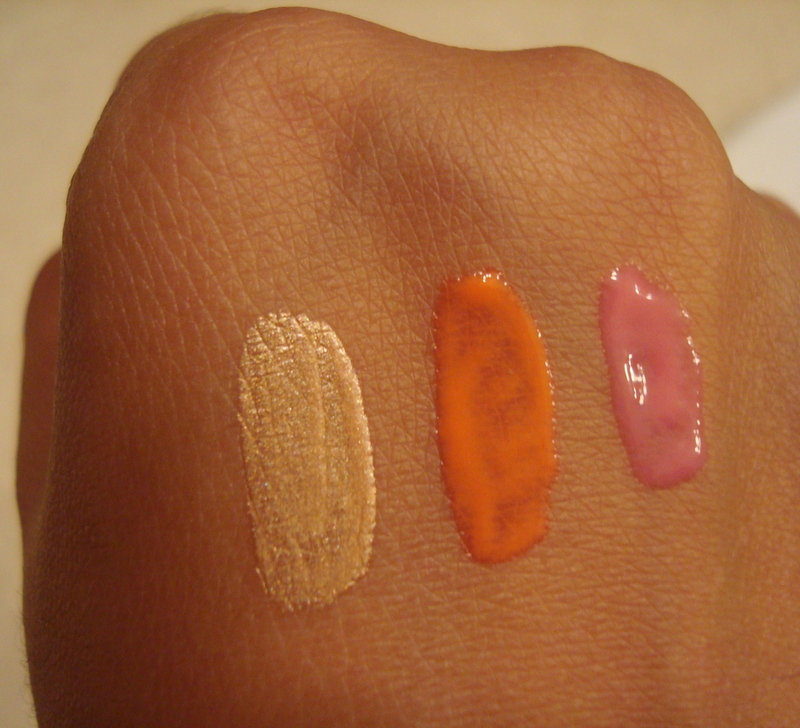 I came across this trio of cheek/lip tints that were to die for! I’ve always loved Benefits products (die-hard they’re real! mascara fan) but can never seem to shell out the cash for a product if I’m not sure I will love it, no matter how freaking cute the packaging is. In comes these little trial sizes! These are perfect In that you get a lot of product (a little goes a long way) and you get to try three separate items, so much bang for your buck! 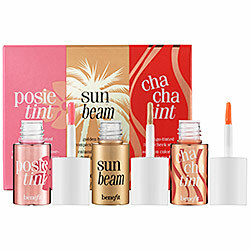 Included in this kit is Cha-Cha Tint, Posie Tint and Sun Beam highlight. 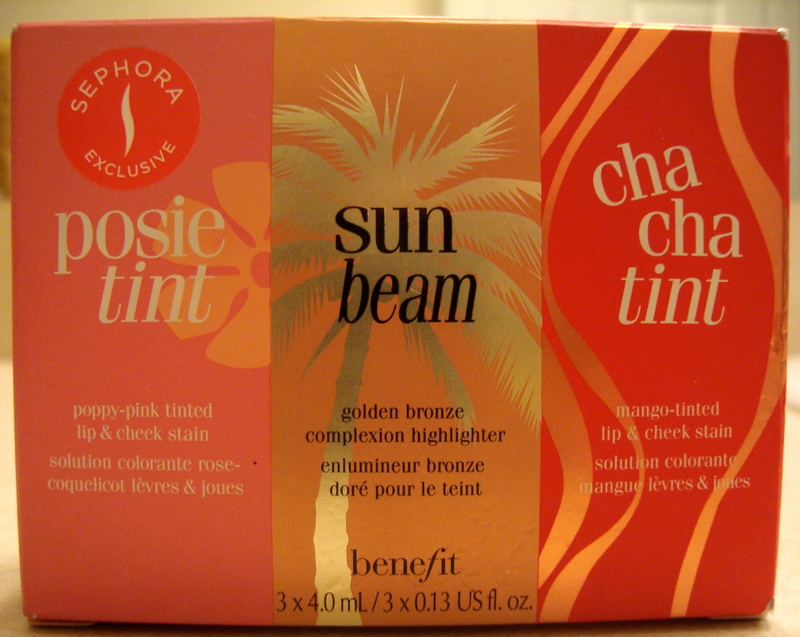 Cha-Cha tint This is a Mango colored stain that beautifully blushes lips and cheeks with a peachy hue. On medium/dark skin tone it provides me with a glowy flushed look that almost resembles a crème blush, and it is able to tint my darker colored lips enough to show up as a cute “just bitten” look. I can kiss and drink with it, but just resist the urge to apply chap-stick or anything over it as it will make the product less effective. Posie tint This stain is more suitable for my personal use on my cheeks versus my lips. It gives me a pretty pink fresh face glow when applied with a brush but doesn’t show up so well on my dark toned lips. This may serve better for someone with fairer skin than my own. 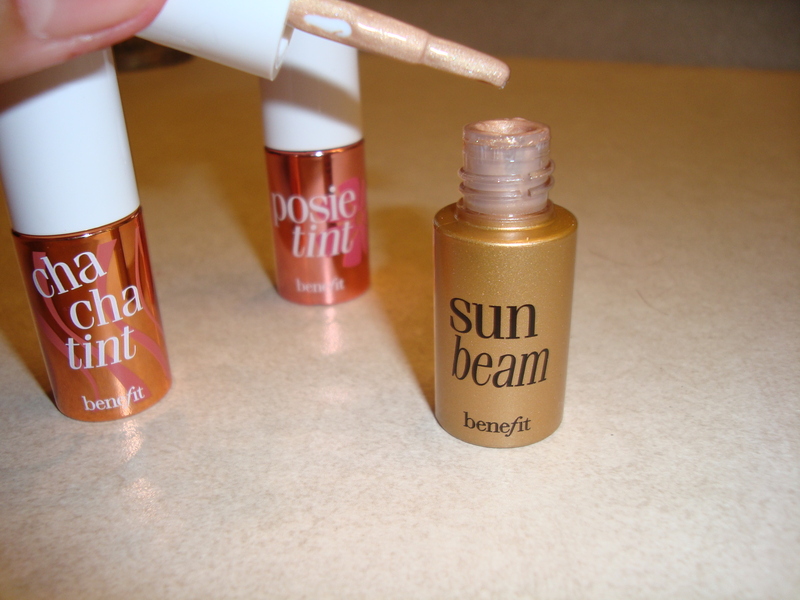 Sun Beam highlight This highlight is perfect! When applied to my cheek and brow bone it provides a subtle warmth and shimmer to my face. I even dabbed a bit on my décolletage and cleavage. -These products set and dry extremely fast! So fast that I advise not to apply them directly to ones cheek (the lips are fine if blended quickly with a brush or finger). Even just utilizing a small dot on your cheek, it will set and doesnt blend out very well. I applied each product first on the back of my hand and then took a brush and picked up the excess and blended that onto my cheeks. I didn’t mind this method too much considering the color pay off was the same. -On your lips it works very much like any stain and doesnt provide much moisture. The staying power is great, but if you’re a stickler for moisturized lips like I am than this may be a problem. All in all I think this was worth the $17.00 considering I got to try all three before going all out with the full size products. I throw one in my purse without fear of it leaking or melting in this florida sun and can pop it on even on the hottest days when I don’t want to overdo my face. Beach outings are also great as you can apply these and know it will last and look natural all day. 9.0/10.0 review. Gah I wish we had sephora in Australia! You guys get the cutest versions of products! Love all three of those products! 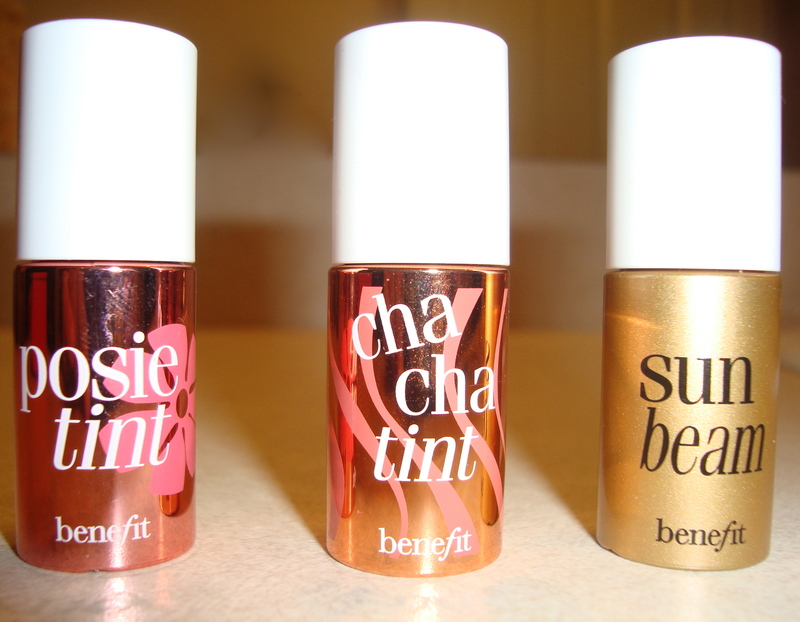 I have the posie tint and sun beam in full size and a sample size of cha cha tint but I’m thinking i may have to upgrade…just love it too much! I know what you mean about them drying really quickly, sometimes ill dot it up my check and then smooth it in and it’ll leave a slight stain in the dot shape haha, I guess I have to work quicker with the product.